Right about this time of year, business owners around the world go shopping for mentors. I know … because I do the same thing. The best way to grow bigger in your business is to work with someone who can call you forward to dream bigger than you can on your own and hold you accountable for big results. In 2011, I hired Top Business Coach Bill Baren. I truly had reached that “now or never” place at which my future success and control over my destiny depended on getting expert guidance and support to make my business vision real … and profitable. Going it alone for a longer period of time wasn’t going to get the job done. So, I did my due diligence and made a very serious commitment. Aside from making a down payment on a house, I had never invested at that level in my success ever before. Making that decision scared me to my core. I shed plenty of tears about it. Growth is hard, and operating outside of the comfort zone is not easy either. And, I took a lot of imperfect action to create the business I proudly operate today at a profit in service to spotlight seekers around the world. Right about now, you are seeing dozens of messages from colleagues and luminaries you know and admire about the various gifts that Bill Baren is sharing to guide you to consider the high end programs to create to overcome undercharging and underearning. I am coming forth in my typical transparent way to tell you that Bill’s guidance is the guidance I invested in myself to overcome these challenges in my own business. And the journey I traveled between my ears is one that was the biggest shift of all. I champion his work because I have experienced first- hand the BIG IMPACT it made on my own happiness and business success … in the balance sheet and beyond. A crisis of confidence is something that many business owners struggle with, and I know that all too well. It’s not easy to reinvent from that thing you used to do to this NEW thing you are called to do and have unshakable confidence that you are ready and worthy to welcome the big success you dream about. When I graduated from Bill’s coaching program, I created a video to express my gratitude. It seems timely to share it with you now so click on the link above to watch. If Bill is your mentor, you will know it. And if he is not, you will know that, too. The key thing is to make a choice and take inspired action to make your boldest intentions for your business real. Otherwise, you could find yourself a year from now, still feeling frustrated about undercharging, underearning, and wondering how to turn the tide. If not now, then when? Regardless, let today be the day you declare your independence from underearning and undercharging. Bill’s manifesto will light the way. VANCOUVER, British Columbia, October 2, 2014/ — With a New Year fast approaching, workshop, retreat, and seminar leaders have one big challenge to overcome: How can they fill their events with ease when so many struggle and make the same mistakes that keep event rooms empty? Answering that question is Master Educator for Workshop, Retreat and Seminar Leaders Callan Rush. In business since 2008, Rush leads more than 30 live seminars and workshops every year and has built a profitable 7-figure business guiding others to succeed with her proven approach. Rush’s best-selling how-to book – Wealth Through Workshops: Your Step By Step Guide to Creating a Life-Changing Lucrative Workshop, Retreat, or Seminar Business levels the playing field so business owners serious about leading successful events can use education based marketing to their best advantage. “This book has the potential to transform workshop leaders to luminaries who can change the world,” Rush believes. The book is available for free download at www.GetKnownGetPaid/Callan2014 through October 16, 2014. “Live events are are harder to fill, and it is growing more challenging to compel people to rush to the back of the room to make purchases. And, there is no better vehicle today to create real transformation than through the hosting of live events,” Rush maintains. “The truth is there are three major mistakes workshop leaders make that lead to potential disappointment or disaster,” Rush explains. Mistake #3: Failing to sell problem solving solutions in a group setting. With the re-release of her comprehensive how-to book – Wealth Through Workshops — Rush defines and explains how to use education based marketing to build a foundation of real trust between a specific audience to solve a specific problem with a proven solution. She also details the nitty-gritty details and specific order of tasks to execute so serious event hosts can succeed. Since 2008, Callan Rush has trained thousands of aspiring workshop, retreat, and seminar leaders to become luminaries in their fields by filling, leading, and monetizing their live events. The first woman to lead from the stage for the largest personal development company in the world, Rush is the CEO and founder of highly successful Leader to Luminary Training Inc. A top-notch trainer with over 15 years of success in the speaking, training and educational seminar industry, Rush has mastered the secrets to creating a life-changing, lucrative live event business. An expert in sales & marketing and a genius in program design and facilitation, Rush delights her audiences with her unique blend of humor and wisdom, honesty and openness, and complete generosity of self and spirit. 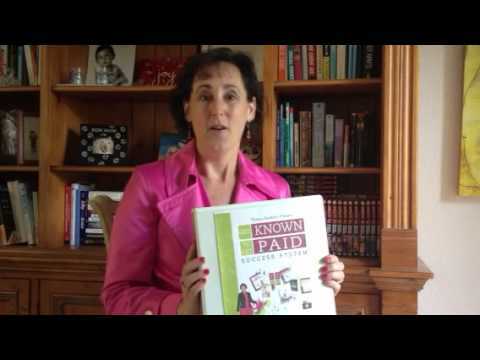 To access a free copy of her book before October 16, 2014 – Wealth Through Workshops – visit www.getknowngetpaid.com/Callan2014. So What Happened as a RESULT of Steve Juetten’s prREACH “James Brown, Estate Plan Tips” Press Release? You could say my husband of almost 27 years — Certified Financial Planner Steve Juetten — is my best and most appreciative client. And since we live together, parent together, and run two businesses across the hall from one another in our home, we talk business and evaluate results quite a bit. On August 29, Steve got inspired to issue a press release to bring attention to the importance of getting estate planning documents in order based on reading about the estate planning challenges of music legend James Brown. And he took action to get the news out. So what actually happened for him over the last week or so as a direct result of the press release? == When you do an internet search for “James Brown, Estate plan tips” Steve Juetten’s prREACH video comes up #1 in the search. Here is a screen capture from yesterday, and Steve’s press release comes up #1, just below the paid advertisement for Laird Norton. == Steve’s Google Analytics reveal that his website has welcomed 50% more traffic than normal since the release was issued on Aug. 29, 2014. == Steve reports that the number of opt ins to download his Smart Money Rules gift booklet are up by ten times. == Steve showcased the video in his recent ezine to his financial planning clients and welcomed a number of compliments by return email. He created real engagement! == Financial planning can be a rather dry subject matter, so being recognized as amusing and funny and insightful is a good thing in Steve’s line of work and also quite refreshing. == Steve has showcased the video clip on his LinkedIn to add a “cool quotient” to his profile. == I have showcased the video clip in a solo email and several blog posts to my own tribe, too. == This is one of the benefits of being married to me and having a relevant success story to share that can serve and educate my community about actions that deliver results. This kind of championship is also a benefit of being among my Jumpstart clients that I speak about from stages, teleseminars, and webinars. Steve’s business is very demanding and he doesn’t have a lot of time to do marketing. And, he is so happy with his results that he can’t wait to do another press release next month. So, I hope these very specific, terrific results for Steve inspire you about getting your story out to the world in a bigger way. If you want to learn even more about how to use press releases to build big buzz for your business, join me today for a content-rich webinar I’ll be sharing via the Business Mastery Series for Direct Pay. Here is a link to claim your place. It’s high value and free! Joint ventures are the power plays that lead to getting known and getting paid because they deliver impact, influence and income. When partners advocate for your programs and offerings with “full court press” as true believers, the people they serve listen and take action. Those are people who are likely to follow their leader and invest wisely in services, products, and programs that can address real problems in their businesses and lives. This is among the most powerful ways to build big influence and impact quickly. Those who deploy this strategy get known in a big way among tribes of people who are serious about success. Since I am a Get Known to Get Paid Mentor, advancing along my own path to mastery with this strategy has been a huge area of emphasis in my business and my professional development over the last two years. When I advocate for others, I have very high standards. I believe 100% in the expert and the offer and have done my due diligence by reading the book, studying their program and knowing in my heart, head, and gut that it is well worth my advocacy. The match to the needs of my audience is spot on. The folks behind the scenes are total professionals who know what they are doing. Right now, there is a group of 70 entrepreneurs with very big lists, 6 and 7-figure incomes, and lots of influence. We are all advocating powerfully for the outstanding work of one of our colleagues. And, yes, that means that you have likely been on the receiving end of far more email than you prefer because we all believe in her training and know it can serve those we serve. I’ve been “going to the mattresses” to make my impact. This expression was first used in “The Godfather.” And it also got showcased in the Tom Hanks/Meg Ryan romantic comedy “You’ve Got Mail.” Ryan’s character was going to the mattresses to save The Little Shop Around the Corner from big, behemoth Fox Books. The press got involved. It made for great drama and impact. It really got people talking, taking sides, and making decisions. So, when the first leader board came out. Of all the folks on the list, guess who was in the #1 position? Yes. For a brief moment in time, it was Nancy Juetten. The next day, my name dropped to the #2 position. Everything I have ever learned about building big buzz, credibility, and impact over a lifetime has come into play during this joint venture. I’ve built on my years as a publicist, storyteller, and serving as among the best “setters” on the planet to the “spikes” of my powerful partners. I created and issued a press release across PR Newswire to bring the quality news and information to a much wider audience of people to benefit. I created and issued a second press release across PR Newswire to announce a special webinar just for my tribe. That one landed on Bloomberg Businessweek. I created custom ezines and blog posts to add texture and context to the conversation around filling events with ease. I’ve posted to social media. I’ve sent the partner provided email messages to my list, re-sent to “unopens,” and welcomed plenty of unsubscribes in the process. I’ve deployed paid advertising — Help a Reporter Out and Facebook Ads — to build buzz. I’ve offered a very special and relevant bonus to reward everyone who mades the wise choice to invest in my partner’s program. And, the partner offered a live webinar for my tribe, too, to offer even more access to her expertise. I believe it is the combination of actions and the spirit behind them that created the momentum, impact and results. I “went to the mattresses” to advocate for a partner for whom I have great respect, admiration and belief. That feels great. But why does this matter to me personally? I’ll tell you why in the true spirit of authentic visibility. I’ve been fighting this battle between my ears and “going to the mattresses” for something not so easy to win that matters to me. After years of working really hard, learning new ways of doing business, and earning success one modest step at a time, I have lamented to my husband and close colleagues that I am tired of sitting at the little kid’s table. I’ve been angling for a chance to take my seat at the Big Kids Table through my inspired and results-generating advocacy, gifts, and talent. It is not enough to be good at what you do and earn applause and raves. You need to turn heads with RESULTS that count. These results need to be the kinds of results that people of influence can SEE and experience in ways that matter to them. When YOUR NAME shows up near the top of the leader board as an advocate that delivers results, here is what happens. In very short order, everyone who is playing in the same joint venture comes to know YOUR NAME. Those folks may be wondering, “Who the heck is that, and is that someone I can meet and co-create great results with?” And then the bigger opportunities start coming your way to deliver your message to more of the right people who can benefit from how you help. In addition to supporting my partner’s great work during this launch, I sought out to earn a place in the Top 5 or better among a list of A-List performers on the leader board. Many of the experts I know, admire and respect are participating, so that is very fine company to keep. Earning a leader board position is a way to get seen, heard, and celebrated by folks who a week or so ago probably didn’t even know my name. Now they do, and they may be wondering how they can benefit from the kind of “full court press” advocacy I deliver for my best partners for THEIR next big launch. Get Known. Get Paid. I wave the flag for these outcomes every day, even when it is hard. Why? Because I have walked the talk to great outcomes in my own life and business, and I want others on missions for good to welcome the same benefits. And, I will tell you that there are nay sayers, dream smashers, and skeptics everywhere. I have heard it all before. And these comments just compel me to prove the messengers wrong. No matter the final outcome, landing near the top of a joint venture leader board for a behemoth launch like this is powerful proof that smaller engines with high octane heart, muscle, and commitment to long distance running can make a huge impact. For the nay sayers out there, I would also say this. Don’t ever underestimate or pre-judge “The Little Engine that Could” who crosses your path. There may be a great deal of power under the hood. During this big launch which concluded with me earning #3 position on that leader board, I “went to the mattresses” to do my absolute best for my partner and also wage an inner game battle. No matter what happens next, I have put “the little card table with small chairs” in the hall closet for good. And that feels like a sweet victory to me. Yesterday’s call with Christian Mickelsen’s tribe earned rave reviews from hundreds of coaches around the world who learned how to transform their boring stories into client attraction magnets. If you would like to listen to the replay, here it is. You have 72 hours to enjoy it, and then it vanishes forever, along with a very sweet deal you won’t want to miss to work with me and benefit from some of Christian’s best training this summer. The special offer we made is described here, so check it out and say YES. Just imagine — $3500 in Get Known to Get Paid training with REAL HELP from me with three Mega VIP Success Sessions this summer for $497. Sure sounds like a “heck YES” to me. How about you? Declare Your Independence from Message Muddle and Struggle and Ways to Solve That … And a Present, Too! If your boring bio has you stuck at the front door and you want some REAL HELP to get that problem solved, tune in to the calls coming up today through June 28 to get the relief you need. There is a GIFT valued at $97 to guide you to build big buzz for your business so you can attract more perfect clients now to reward those who come to the calls and listen for every last morsel of juicy advice, so tell your friends. I am on a mission to touch a million people who want to declare their independence from message muddle and struggle now. If that sounds good to you, join me for one of these content rich and inspiring calls. See you soon so we can make big impact together! 3-Day Ezine Subscriber Celebration is Set for 3 Glorious Days – June 17, 18, 19 – $250 Gift! I am debuting my best and most complete training ever to guide somewhat introverted spotlight seekers to get ready, known and paid for the expert status they own today. I have brewed up a super generous offer to make saying YES an easy decision to advance and inspire big buzz and success this summer for those who follow my work. If you are not yet a subscriber to my ezine, now is the time to change that. Get your Quick Quiz to find out how ready you are to get known and paid by visiting my home page and opting in to receive yours immediately. Then, you’ll be first to know when the flag is officially up to save $250 on the new Get Known Get Paid Success System so you can welcome those results in your business this summer. It is so rewarding when clients take inspired action to get known and get paid for their winning ways. Amy Minkoff is a perfect example of that. Read about her results so far as a client in the Get Known Get Paid PRIVATE Mentoring Program and be inspired to take actions of your own. Oh by the way, if you know of anyone in the midst of divorce who needs support and guidance to reclaim their joy, Amy is the expert who can light the way. I am so excited about all the progress I’ve made on my business since we started working together in the Get Known Get Paid PRIVATE Mentoring Program just a few months ago! Before we got going, my main concern was taking my Joy After Divorce Expert coaching practice to the next level because I knew I would have to get out of my comfort zone to do it. And I have! I got paid even before my site went live. I gave powerful talks to influential hubs before my site went live. Professionals in my audience have made referrals. Now I have a rock solid website to draw even more ideal clients so they can hire me to navigate the choppy waters of divorce to the shores of Joy After Divorce with financial savvy, time for what matters, and the love they deserve! Nancy has challenged me to break through the fear of being imperfect and take action so I can be seen, heard and paid. Now I am ready to commit to the next level of action to continue my success! Receiving coaching from Nancy Juetten has been the bomb! In fact it set up a small explosion in me to learn how to “get known to get paid.” I’ve taken her sage advice and strategy to start getting known in the media. Last year I launched a blog dedicated to helping single women buy their home solo. My desire was to start building traction for my message. Nancy taught me tips on how to express myself in ways which are media friendly and how to make it easy for a reporter to get the information they’re looking for. Her introduction to www.helpareporter.com has been invaluable. I’ve responded to several queries from reporters. One landed me in The Washington Post. In addition I’ve been quoted in www.mymove.com, and www.homefinder.com. Also a single women client of mine was interviewed by CNBC. All of this happened in a short 30 day period of time. Now I watch HARO closely twice a day when the feed comes out with the request for queries. For my forthcoming book, “Bounty and Bliss, A Woman’s Guide to Buying a Home Solo,” I created and submitted my own query. My goal was to interview single women who had successfully purchased their homes. My book includes stories of inspiration and success from women who’ve already done this. I received 14 responses from women willing to tell their stories. I thought this was a smashing success. Well-known Realtor Sandra Rinomato — the former host of HGTV’s “Property Virgins”– agreed to be interviewed for my book as a result of a pitch Nancy helped me write. Sandra hosts a HGTV show airing in Canada for single women who buy a home solo called, “Buy Herself.” With Nancy’s encouragement, I declared my intention to connect with Sandra. And it happened! Lastly in this flurry of pro-active activity I interviewed Jill Butler author of “Create the Space Your Deserve.” She writes and shows single women the secret sauce to cleaning up their head trash through intentionally creating their ideal nest. Nancy suggested I create juicy retreats for women in life transitions who need to buy a home at the same time. Jill is considering being a speaker. Here’s a deep bow to you Nancy. Fran invested in three Build Your Buzz PRIVATE Strategy Sessions with me, and she is off and running now. If you would like to follow Fran’s lead to welcome similar results in your business, I look forward to our work together.